Short, stocky and totally adorable, Sparky is a loyal and affectionate friend who would love to be the next resident of your household. 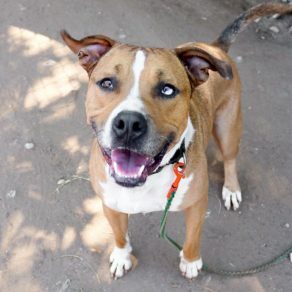 He's currently living in a foster home and they can attest that he'll make a lucky family very happy when he moves in! Sparky's foster mom says he's one of the most cuddly dogs she's ever known and has the perfect activity level. He enjoys long walks or short jogs, but he doesn't need to be constantly burning off extra energy. He can also entertain himself and he loves to toss his toys in the air and then go track them down. He also enjoys a round of tug of war and kind of playing fetch - Sparky will bring you a toy, you throw it, he will go sit with it for a while, then bring you a different toy, or just throw the toy to himself because why not? Feel free to try to teach him the rest of the rules of the game! Sparky also has excellent manners in the home. He's house and crate-trained but does great left alone outside of one and hasn't show any destructive tendencies. But he really prefers having his favorite people around, even if he's just chilling nearby while they work. Sparky takes some time to warm up to new people, but once he trusts you, he's as loyal and kind as can be. He's very affectionate and loves to curl up with his favorite humans and definitely thinks he's a lap dog. He loves to lay his head in his person's lap while they stroke his head or just snuggle on the bed or couch. 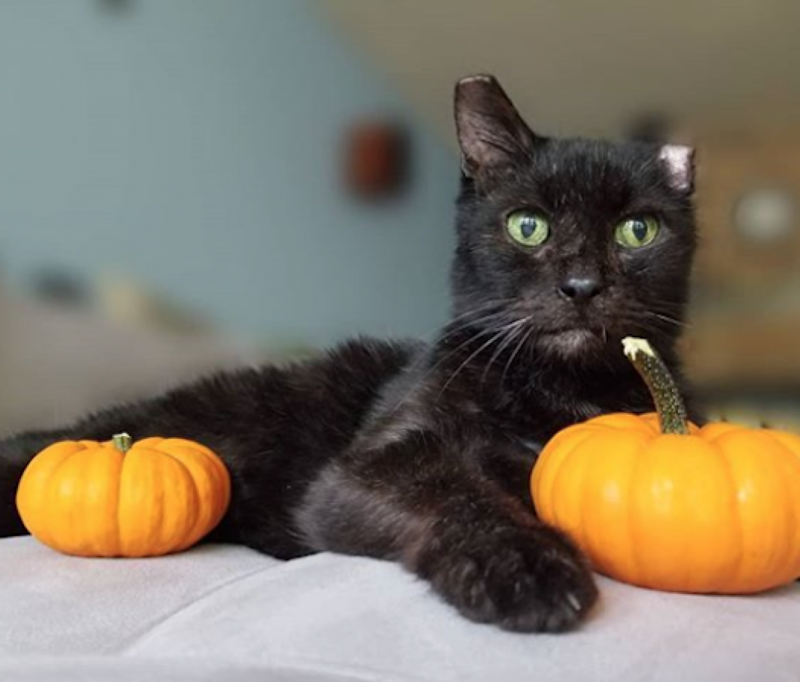 If there's only a tiny little space there for him, Sparky says he can make it work! He also walks well on leash and knows "sit" and "come". Sparky will make a fantastic companion to the right family. Come meet him and see if this big cuddlebug is right for yours! 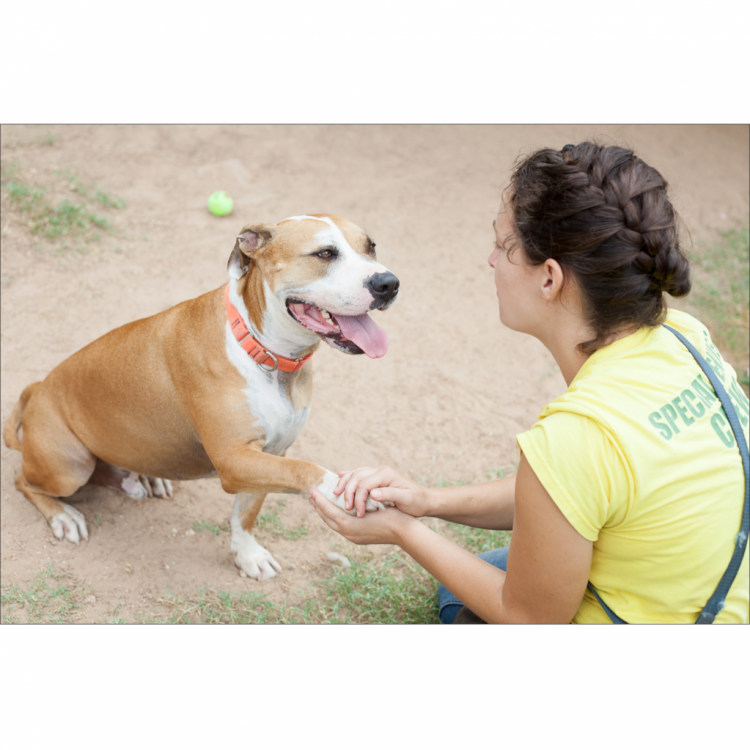 I saw Sparky (https://www.austinpetsalive.org/adopt/dogs/apa-a-36615) on the Austin Pets Alive! website and would like to request more information.